DMC’s Plan Document development will start with the previous year’s documents, and then require updated Plan Benefits, Co‐Pays, Allowances, etc. from the Plans through what is referred to as a Plan Crosswalk Document. 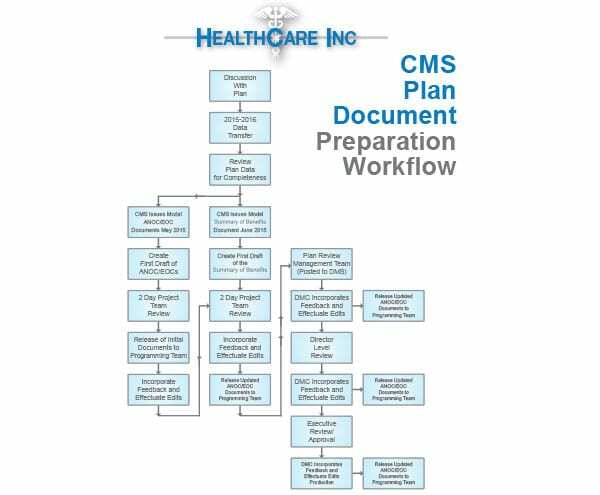 DMC’s experts then version out the new year’s CMS Model Document templates to create your Plan’s new documents.